Rishi Kapoor and Randhir Kapoor is selling the legendary actor Raj Kapoor’s iconic RK studio with a heavy heart and emotional loss. 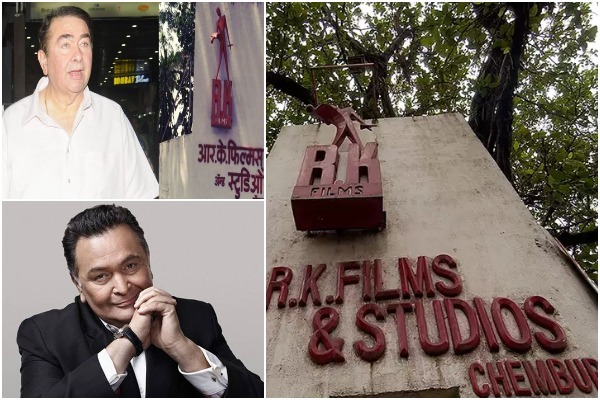 It has been confirmed by Rishi Kapoor and Radhir Kapoor that late Bollywood actor and producer Raj Kapoor’s RK Studio is up for sale after being severely damaged in a fire last year in September. Ever since Raj Kapoor’s demise at the age of 63 years around three decades ago, the Kapoor Khandaan has strived to maintain RK Studio but now they have taken an unanimous decision to sell the iconic piece of Bollywood. Confirming the news and talking on behalf of the Kapoor Khandaan, Rishi Kapoor expressed that this decision has been taken by placing a stone on their hearts as they further could not ignore that the iconic studio was becoming an economic burden on them. Rishi Kapoor then spoke about how all the Kapoor had to take the ‘larger picture’ into account and come to a decision to sell the studio. However, they did not come to this heart wrenching decision lightly as they were planning on renovating the space with new modern technology. Last year when fire broke out on the sets of Indian reality television show ‘Super Dancer 2’, it burned down years’ worth of memories and memorabilia. Beautiful costumes and jewellery worn by leading ladies from Nargis to Vyjayanthimala to Aishwarya Rai Bachchan. Clown mask featured in 1970’s ‘Mera Naam Joker’. The grand piano used while filming ‘Awara’ (1951) and ‘Bobby’ (1973)— all reduced to ashes. However, few parts of the iconic studio like the administration building, canteen and R.K Cottage have survived. When asked if son Ranbir Kapoor would be willing to preserve the studio, father Rishi Kapoor stated swiftly if his son has sufficient capital then he can buy the studio from them but it is highly unlikely after Sanjay Dutt’s biopic Sanju’s commercial success. Rishi Kapoor thinks that Ranbir Kapoor should concentrate on his filmy career. RK Studio was built by master showman Raj Kapoor nearly 70 years ago. The first movie made under the banner was Aag in 1948. Previous : Watch: When Nick Jonas’ Mother and Priyanka Chopra’s Mother Madhu Chopra Danced At The Roka Ceremony! Next : Bigg Boss 12 Celebrity Contestant List Leaked! These 6 Celebrities To Enter The BB House?